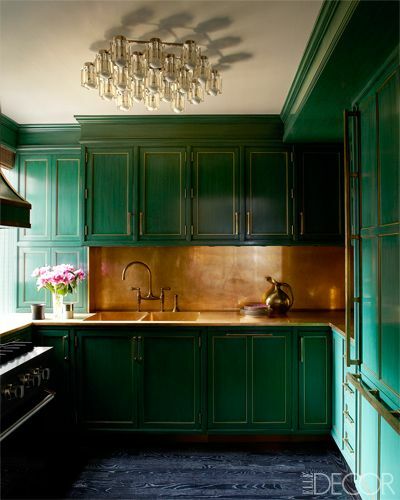 I have loved this kitchen Kelly Wearstler designed for Cameron Diaz ever since it was first featured...such unexpected finishes that are so chic and cozy. 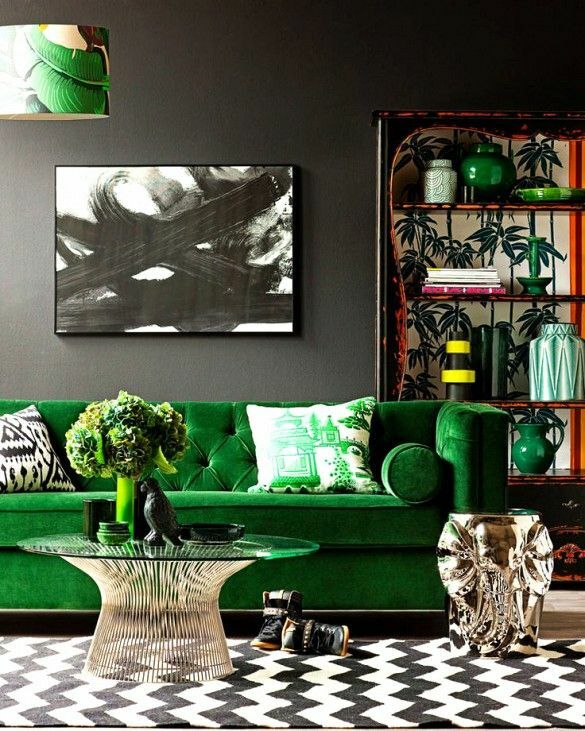 If I were to ever have a colored sofa it would definitely be emerald green velvet...I just love the look! 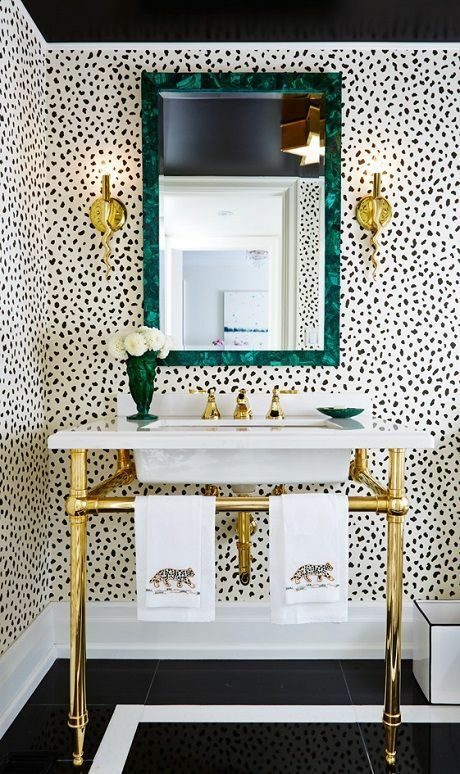 A little green goes a long way in this powder room with a malachite mirror and vase...It goes perfectly with my favorite color combo...black, white, & gold! 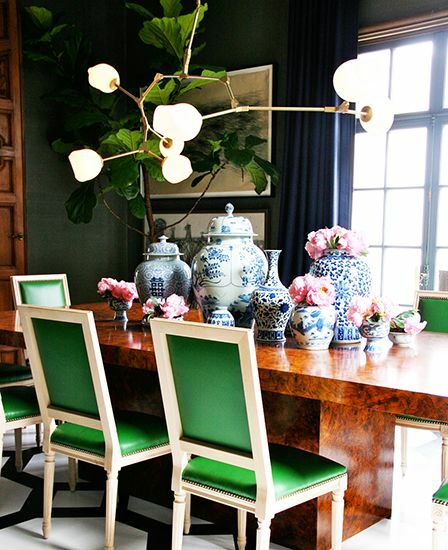 Dying...these chairs with the burl dining table!